Now that Mosaic Engine is up and running, I've been waiting for a break in the weather to get out and use it. Here is a three by one mosaic of a winter time favorite. 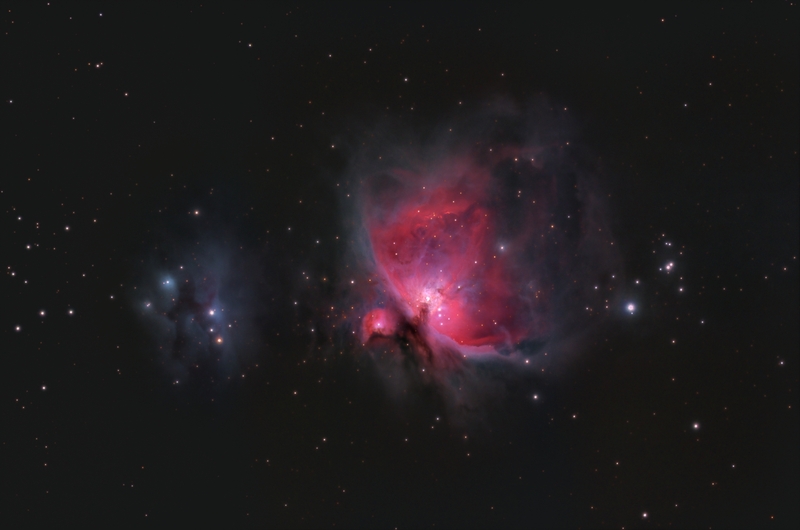 This is an urban effort so the bright sky prevents bring out all the faint gas in this area of Orion and shifts the colour balance slightly, but all in all it shows just what you can get from an urban imaging location. Click on the image to see a higher resolution version (it's a big download), then click again to return to this page. Processing This image was captured using Mosaic Engine and the mosaic built using Microsoft's Image Composition Editor and then processed entirely in Images Plus.